Dinamex Auto is a crossing between Dinafem's Dinamex, and a selected rudelaris strain (wich adds autoflowering genes). 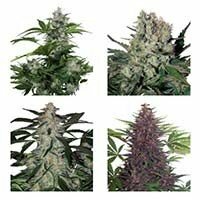 Dinamex Auto weed is a jewel, for autoflowering growers. Dinamex Auto is ready to harvest in only 75 days after germination, with a medium to high yields. 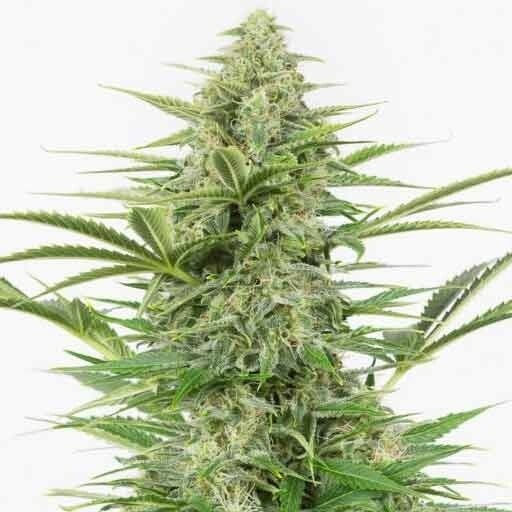 Dinamex Auto by Dinafem Seeds is a feminized autoflowering Sativa/Indica/Ruderalis cannabis strain that results from the cross between a Cali Sour and a Mexican Sativa. 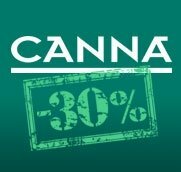 It is a high-quality cannabis seed that shows excellent balance at all levels and that has a very rare flavour complexity considering it is an autoflowering seed. Dinamex Auto is the perfect solution for growers seeking a balanced cannabis strain. 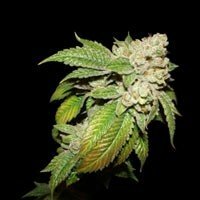 It is a beautiful, fast-flowering, easy-to-grow, vigorous, small marijuana plant that develops small internodes and considerable yields of elongated dense buds covered in resin. 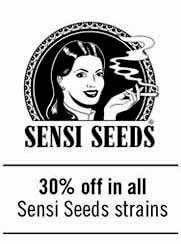 It is a cannabis seed with which to obtain bumper crops in a fast and easy way both indoors and outdoors. We recommend the use of fertilizers and regular watering but in small amounts to help the plant achieve full potential. Adding 30% of coco to the soil will accelerate the metabolic processes of the plant. Dinamex Auto has a deep flavour and aroma, with notes of Diesel, oil and citrus fruits. The long-lasting effect is powerful, physical and mental. It is the perfect cannabis strain for unwinding with friends.